Set in 1398. Kim Min-Jae (Shin Ha-Kyun) is the supreme commander of the Joseon Dynasty. He falls in love for the first time and for that woman he takes risks. 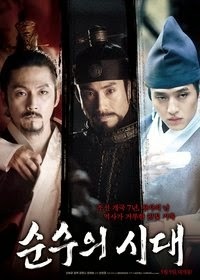 Yi Bang-Won (Jang Hyuk) is the King’s son. He helped his father setup the Joseon Dynasty era, but he was not picked as the Crown Prince. He still holds ambitions of becoming the King one day. Jin (Kang Ha-Neul) is Kim Min-Jae’s son and the King’s son-in-law. Due to his position as the King’s son-in-law, he is unable to take part in politics and only seeks out pleasure. Filming began April 1, 2014 and finished July 15, 2014.